The 401k distribution rules outline exactly when these distributions can be made without the ten percent tax on early withdrawals being assessed. Cashing out 401k plans can have enormous and devastating tax consequences, because ten percent of the amount that you withdraw is the penalty owed unless you meet certain conditions. One of the exceptions stated in the 401k distribution rules is permanent and total disability, and if you meet the guidelines for this exception then you can withdraw the entire account balance without any penalties being owed. To qualify your disability must be one that completely prevents you from working in any capacity, and it must be a permanent condition that will not improve significantly. To qualify for an early 401k withdrawal penalty free you must be able to show that you meet the definitions and qualifications that are outlined by the government and IRS. This includes documentation that your disability meets the guidelines set out in the 401k distribution rules. For a physical disability this may be very easy to do, but if you suffer from a permanent mental disability this may require more documentation to verify. The average 401k balance by age shows that many plan participants may have a significant amount in their accounts by age thirty five or forty, and if you are disabled these funds can make a big difference in your life, and in meeting your medical bills and other expenses. The 401k distribution rules for disability reasons are narrow, and the focus is not only on the severity of your disability but also on the fact that it is permanent. This means that you must show the extent of your injuries and the nature of your disability, and also have documentation or verification which shows this disability is not expected to improve. 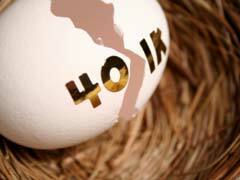 Unlike a 401k rollover to IRA, a withdrawal for disability reasons can be complex. Before you take this step you should speak with a financial advisor or tax attorney, to ensure that you meet the guidelines and will not be assessed a tax penalty on any early withdrawal that you make.